We here at Geekosystem are huge fans of gaming peripheral extraordinaire Razer.From their perfectly contoured mice, to neat gaming keyboard and laptops, Razer makes a PC gamer’s dreams come true. One of the best gaming mice in existence, the Razer Naga, figured out how to shove 17 buttons into a mouse, yet have the thing be totally and comfortably usable. 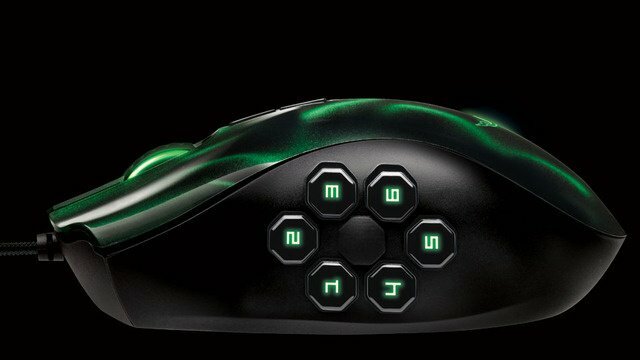 Now, Razer is expanding the Naga line, adding the Razer Naga Hex to the fold. 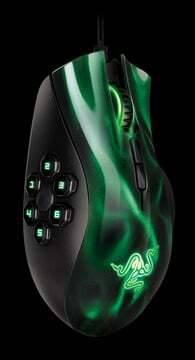 Whereas the original Razer Naga had 12 buttons on the side and was tailor-made for MMOs, the Razer Naga Hex cuts the buttons in half and is tailor-made for MOBAs — otherwise known as games like Defense of the Ancients, Heroes of Newerth, and League of Legends. Though the Hex looks pretty neat, and sports the same fantastic ergonomic design as most of the other Razer mice, one wonders just a tiny bit why a gamer would opt for cutting the buttons in half from the original Naga, especially considering the 17-button mouse actually becomes a breeze to use in only a few play sessions. As someone who floats in and out of playing MOBAs, I can say without hesitation that more hot buttons would be better. Sure, the 6 buttons on the side are certainly enough to control all of your character’s skills and attacks, but veteran MOBA players will attest to keying every item on their item bar to some key combinations as well, something the Hex doesn’t have the buttons to do — whereas the original Naga does. Still, the only mouse this Hex may not be able to replace is the orignal Naga itself, meaning upgrading to the Hex for whatever reason you choose over a regular mouse (the 6 buttons is less daunting than 12, green is a spiffy color, the hex layout seems easier to grow accustomed to than the original Naga’s grid) can’t go wrong. The Hex is currently priced at $79.99, the same price as the original wired Naga. Check it out over on Razer’s product page.